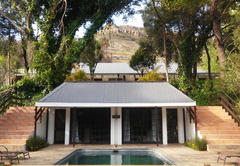 Silvermist Wine Estate is a guest house with self catering option, providing accommodation in Constantia for tourists visiting the Constantia Valley region. 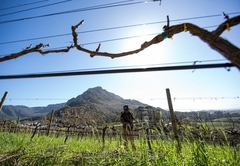 Lose yourself in the beauty and tranquility of Silvermist Mountain Lodge and Organic Wine Farm - a privately owned estate in excess of 50 acres tucked away on the spectacular slopes of the Table Mountain National Park - spacious suites, cozy cottages and large lodges all with breathtaking views surrounded by fresh mountain air. Guests are accommodated in luxurious Manor Garden suites with an offering of King Size four poster beds or large twins, beautiful antiques, private lobby and luxury bathrooms which make these suites ideal for the Honeymoon Couple or Corporate Traveler. 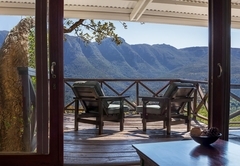 Our Ridge Suites offer wonderful views with large timber decks flowing out from the lounge area across the Longkloof Valley - these spacious suites have a butlers kitchen comprising a microwave, fridge, small sink, kettle and toaster. King beds or large twins, a fireplace and large entrance area make these rooms quite unique. 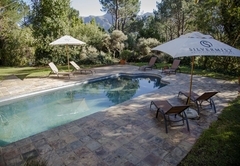 Self Catering Lodges sleeping 6 guests, some with their own private swimming pool are perfect for the family holiday; outdoor barbecue's, spacious en-suite bedrooms, beautiful kitchens and dining rooms with separate lounge area's. All lodges have wonderful views. 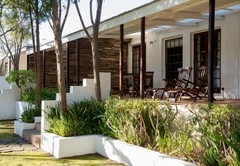 Fireplaces feature in all our rooms, there are outdoor showers for the brave and natural Fynbos hikes on the estate. 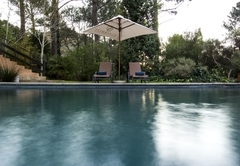 Our rates include a Continental breakfast which is served in the Tree House with its timber wrap-around balcony overlooking the swimming pool and stunning views across the Longkloof Valley. Start the day with a healthy fruit, yogurt and muesli platter, freshly baked croissants, Silvermist homemade grape jams, orange juice, tea or coffee. A delicious range of hot breakfasts are available off our in-house menu. 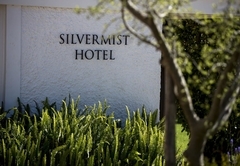 While the mountains and forests surrounding Silvermist will immediately have you feeling like you are miles away from the stresses of modern-day life, the estate is also little more than a stone’s throw away from some of Cape Town’s most popular tourist attractions. Freewheel into Hout Bay with its quaint working harbour, beautiful bird sanctuary and colonies of seals waiting your visit or travel 4kms away in the opposite direction and spend the day taking in the sights, scents and sounds of the exquisite Kirstenbosch Gardens - of course if a little retail therapy is in order a 20 minute drive will take you the Victoria and Alfred Waterfront. 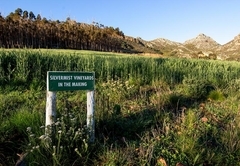 The world famous Constantia Wine Route with its historic buildings and farms is right on our doorstep … while of course Silvermist Organic Vineyards are all around us. Classic Interior style, with featured Wooden Art. These spacious, beautiful Hotel Suites form part of the Original Manor House at Silvermist Wine Estate each boasting a fireplace and large elegant bathrooms. Private verandah's with spectacular views. Well designed and decorated suite. Slate tiled entrance area with butlers kitchen leading into a carpeted lounge with fireplace. The king size/twin beds are on a raised level. There is a large wooden deck leading out from the lounge with spectacular views. 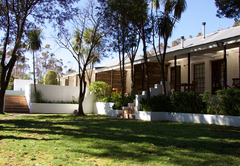 Beautiful 2 Bedroom Self Catering Lodge with 2 En-Suite Bedrooms. Mezzanine level sleeping one. 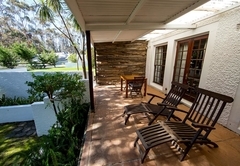 Full Kitchen, Dining Room, Lounge with fireplace, flowing out onto a timber veranda with specaticular views. Barbecue facilities and undercover parking. 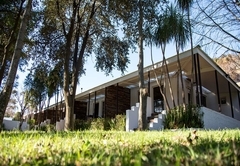 Thatch Lodge, 3 en-suite bedrooms, open plan lounge and dining room with fireplace. Fully equipped kitchen with washing machine, tumble dryer, Dishwasher. 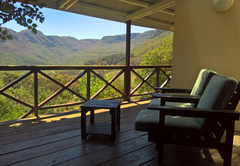 Timber Verandah overlooking Longkloof Valley. Beautiful spacious lodge, Private Pool offering all mod cons, open plan lounge, dining and kitchen including dishwasher. 3 large en- suite bedrooms. Wrap around timber verandah with built in barbecue. Well designed & decorated suite. Slate tiled entrance area with butlers kitchen leading into a carpeted lounge with fireplace. The king size/twin beds are on a raised level. There is a large wooden deck leading out from the lounge with spectacular views. 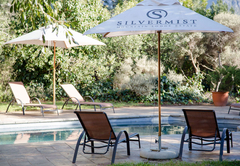 Response timeSilvermist Wine Estate typically responds to requests in 5-10 minutes.